A sculpture of a soldier made from mud from the fields of one of the bloodiest battles in the First World War has been unveiled in London. The Mud Soldier was created to mark the start of the Battle of Passchendaele in Belgium on July 31, 1917. In just over three months, almost 500,000 soldiers died, were injured or went missing as incessant rain turned craters and trenches into a sea of mud. Many of the men drowned in the quagmire. 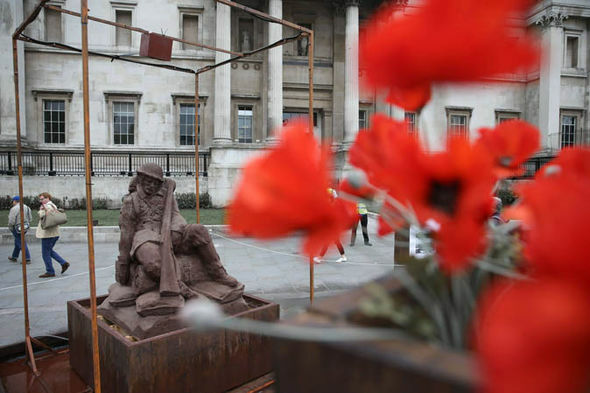 The art installation in Trafalgar Square was crafted from mud and sand from Flanders Fields in Passchendaele and will be displayed for just four days before it slowly dissolves as it is exposed to rain. It commemorates the soldiers’ bravery, struggle and sacrifice and was created by artists, Damian and Killian Van Der Velden, who are twin sisters from Belgium, in collaboration with VisitFlanders and Westminster City Council. The battle took place between July 31 and November 10, 1917 and was one of the deadliest clashes of the First World War. It had the most Victoria Crosses awarded – 61 – than in any other conflict. Two of the VCs were born within the City of Westminster and both lost their lives on the first day of the battle. They included 21-year-old Captain Thomas Riversdale Colyer-Fergusson, who was with The Northamptonshire Regiment, 2nd Batallion. The married father-of-one saved the lives of his men in courageous assaults on machine gun placements but was then killed by a sniper. His older brother was also injured in the war and his eldest brother was killed in the Second World War. His great-great-nephew, Jonathan Monckton, was at the unveiling. He said: “My uncle was a wonderful man and what happened to the family in the wars was tragic. The other VC went to Second Lieutenant Dennis George Wyldebore of the Royal Hampshire Regiment. He was just 19 when he died. 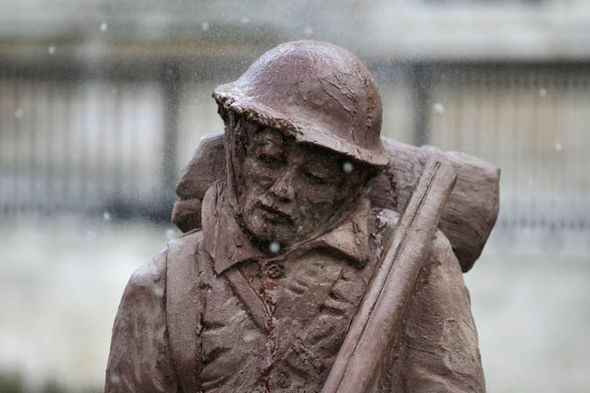 Westminster’s Armed Forces Champion, Councillor Rachael Robathan, who unveiled the sculpture, said: “We will never be able to comprehend the horrific conditions soldiers faced during the battle but this sculpture is a fitting tribute to their sacrifice.